Our Emergency Services crews do so much for our community and we’d love to do something for them. We appreciated all our Emergency Services People and everything they do and Elite Holiday Homes would like to thank you with a special offer. 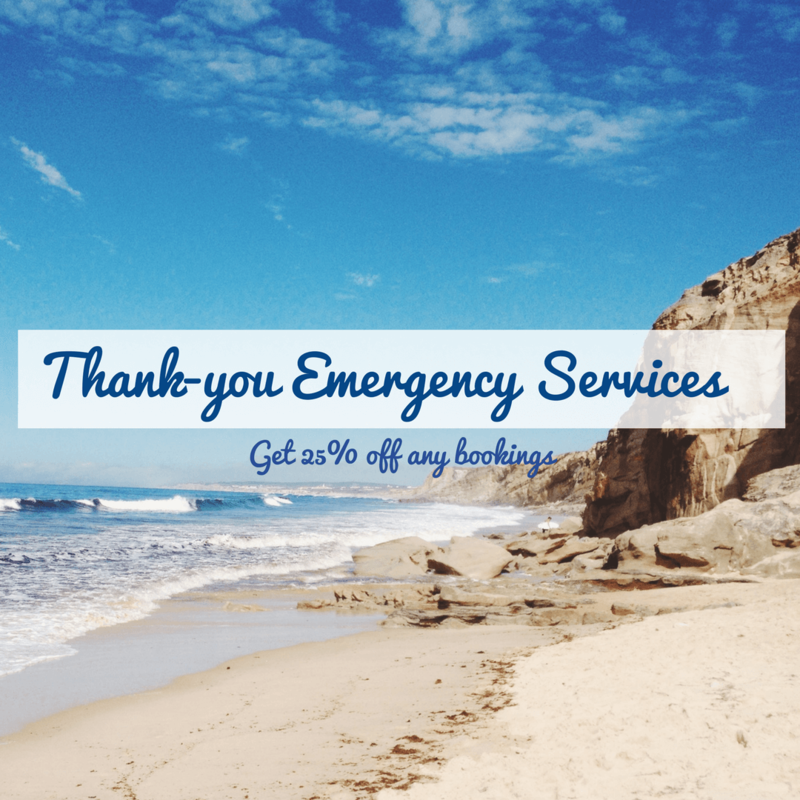 Elite Holiday Homes would like to offer 25% off any bookings to all Emergency Services People. All you have to do is use the code word EMERGENCY when enquiring or booking to make use of this fantastic offer. This offer stands until 30/03/17 and excludes school holidays.